Rhythm disorders of the heart are common in any population and the incidence is irrespective of socio-economic status. The presentation may be life impairing with symptoms of palpitations and tiredness or may present a risk of sudden cardiac death (SCD). 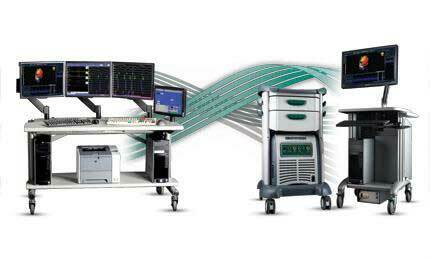 Electrophysiology is a sub-branch of cardiology. It deals with heart rhythm disorders that encompass both slow and fast heart rates. The most recognisable context is the implantation of pacemakers in patients with abnormalities of impulse generation and conduction and this is the device management aspect of electrophysiology. The faster heart rhythms are best dealt with a procedure referred to as an ablation. This is an all-encompassing term that is obviously more complex with ablations that are highly specific relying on technology to map and identify the discreet origin of the tachycardia (fast heart rate) with steerable catheters inserted through a groin vein up to the heart under X-ray guidance. Once the source is identified then energy is applied down the catheter to a discreet location burning off or alternatively freezing the culprit region returning the heart rate to normal. These catheters are guided to the precise location by using mapping equipment which helps navigate the various chambers of the heart (figure 1). These procedures are typically conducted in an electrophysiology laboratory (figure 2). Figure 2. The electrophysiology laboratory. The ablation is often curative meaning that the patient requires no further medication or intervention in the majority of cases, depending on the underlying rhythm disorder. Alternatively the procedure may ameliorate symptoms thus improving the quality of life. Ablation procedure reduce morbidity but may also be lifesaving. Lethal ventricular tachycardias (arising in the lower chambers of the heart) can be the cause of sudden cardiac death. This can even be the first presentation. They can occur in patients that were previously well such as in genetically inherited conditions or after a previous heart attack or a viral infection leaving a cardiac scar which becomes electrically unstable. Sometimes the cardiac arrest can occur many months or years after the heart has sustained the injury. Even though a culprit coronary artery may be stented or grafted by a surgeon the scar remains within the myocardium and becomes the fulcrum for an electrically unstable circuit. An indicator of this risk is the measure of the contractility of the heart. In fact patients with reduced cardiac muscle contractility are regarded as high risk of sudden cardiac arrest and the recommendation is to implant a device called an implantable cardioverter-defibrillator or ICD. This device is essentially a pacemaker with all the features of a standard pacemaker but can also terminate these lethal fast rhythms by overdrive pacing the heart or delivering a small shock internally into the ventricle. This therapy has been shown to be more effective than medication and saves lives! Unfortunately the implantation rate of ICDs in South Africa is well below that of the western world and shows that we are not achieving our optimal health care objectives. Patients with ICDs require routine (usually 6 monthly) device check-ups. This is also relevant to those patients just implanted with just pacemakers as these devices now have such advanced algorithms and regular “device” check-ups are necessary to maintain standards and health of the patients. 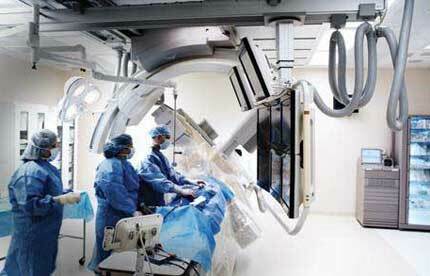 Cardiac device implantation and maintenance is the other facet of electrophysiology and is the essential outpatient service that is fundamental to any comprehensive cardiac rhythm management service. In short, all patients with cardiac devices need specialised follow–up which comprise remote trans telephonic monitoring and/or walk-in clinic attendance periodically. Most cardiology practices are ill-suited for the technical expertise required for adequate analysis or the devices or for the specific device related issues occurring in these patients. Patients are therefore implanted with no definite follow-up plan or structure and management tends to occur on an adhoc basis. The HRM team will also provide a network of Cardiac Device Clinics providing outpatient facilities. These units will be based within selected Life Health group hospitals servicing the needs of the respective community. The staffing and training of these clinics will fall on the Heart Rhythm Management team of electrophysiologists. The staff will primarily be highly trained cardiac technicians who have an interest in electrophysiology. Our vision, however will be to assimilate professional nurses who want to specialise in device management. This then creates career avenues for potential nursing staff and HRM makes a contribution to creating employment of nursing professionals. These registered nurses will have delegated duties and function as nursing practitioners within the HRM Device Clinic structure.